From Broadway Bound to full length stage musicals, students with a passion for performing arts take center stage at the Marcia P. Hoffman School of the Arts, but it doesn’t stop there! Outside of the classroom, students garner additional Broadway exposure through the Ruth Eckerd Hall Broadway Ambassador Program. Eva attends the Broadway musical Cabaret. 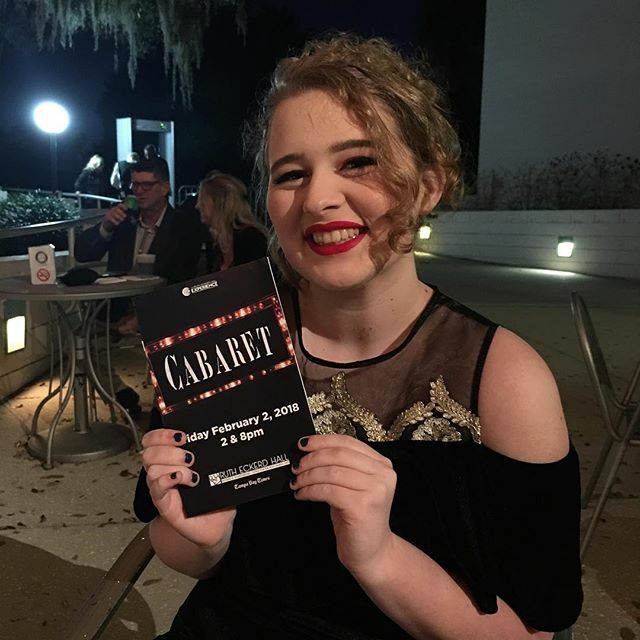 The night of the performance, the Ambassador takes over the Ruth Eckerd Hall Instagram account to provide their unique perspective into the world of performing arts and even take you behind the scenes with the cast! The cast of A Chorus Line sits with students and guests after the show for a talk back on musical theatre. Follow RuthEckerdHall on Instagram to follow along throughout the Broadway season to check out the highlights and see the ambassadors takeovers! Interested in becoming an Ambassador? For students ages 14 and up, with a passion for the performing arts and want to experience what it’s like to attend a Broadway performance at Ruth Eckerd Hall, can apply here to join the program.